Today's makeup look is inspired by the iconic Nicki Minaj's makeup with a sharp mint eyelid, matte brown crease and long false lashes. I've decide to change her makeup look just a little bit, making it more wearable. 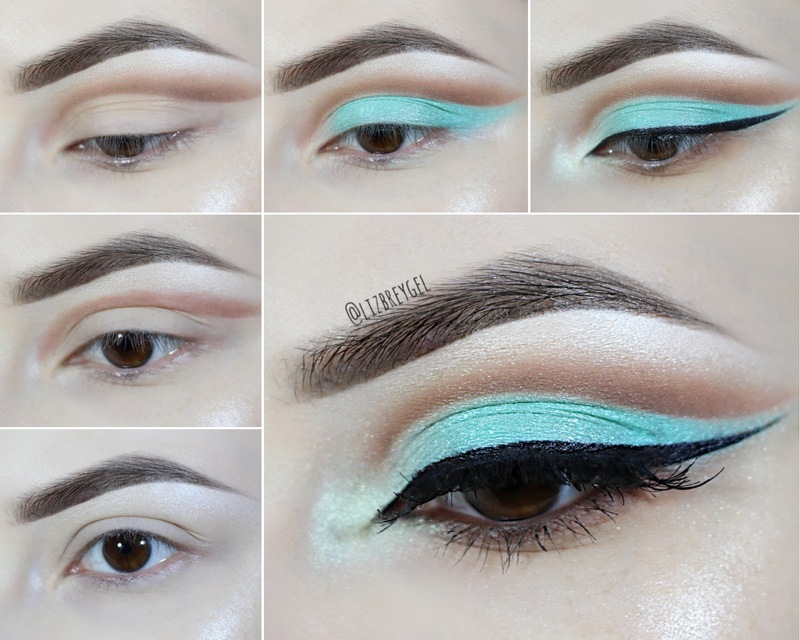 Instead of minty green color you can use any eyeshadow color you like, complimenting the beauty of you natural eye color or outfit. 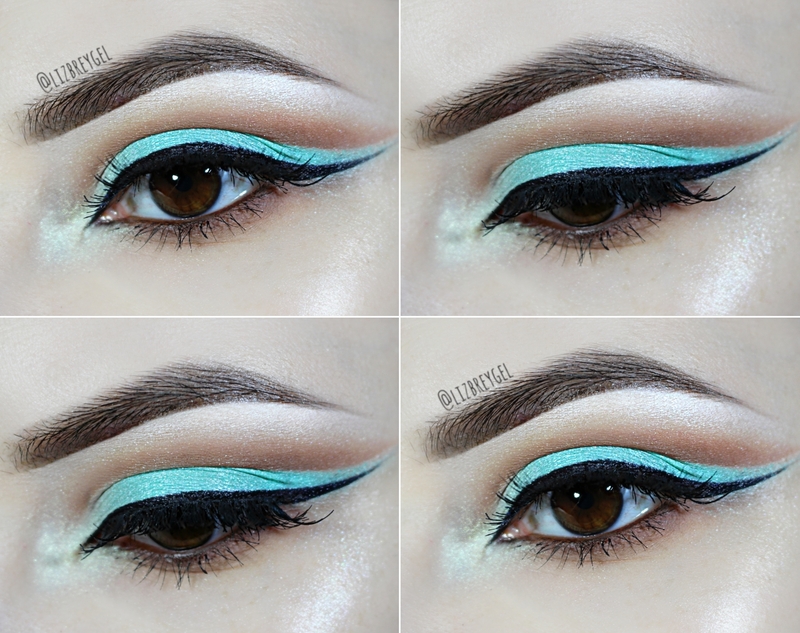 Follow this easy step by step makeup tutorial to recreate this chocolate mint cut crease look, which Nicki Minaj loved to wear on her eyes. Tightline your upper waterline with a black eye kohl and draw a beautiful, long winged eyeliner with cream or liquid eyeliner. Nicki Minaj is famous for her long dramatic wings! For the bottom lash line use dark brown eyeshadow and apply brown waterproof eye pencil on the lower waterline. Curl your lashes and apply a generous coat of your favorite mascara. 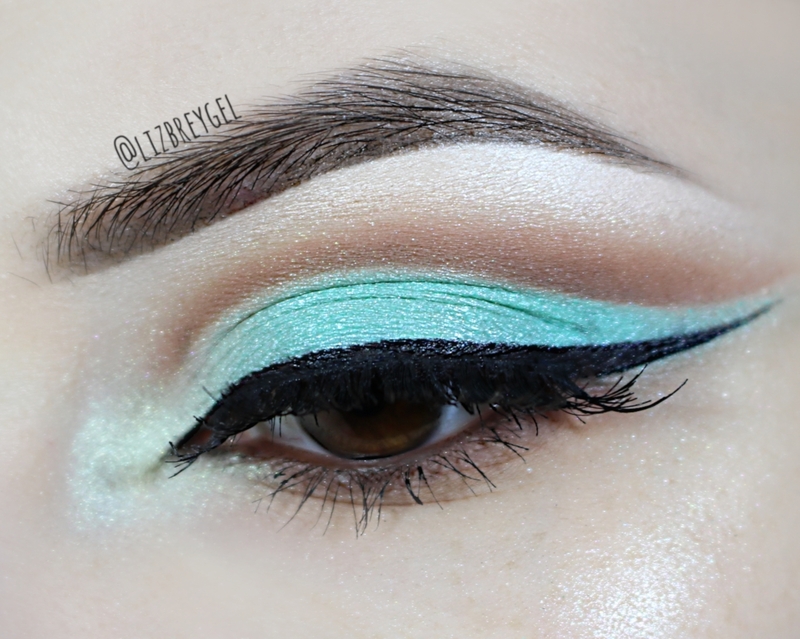 Finish your chocolate mint cut crease with false eyelashes and some blinding highlighter! Apply highlighter on the inner corners of your eye, brown bone and on the highest point of your cheekbones! Together with the chocolate mint eyes, Nicki Minaj wore fuchsia pink lipstick and a huge amount of dramatic cream contouring on her cheeks and nose. Strong face contouring looks great on pictures or red carpet, but not in real life. I recommend you to substitute contouring with more subtle sculpting, you can check out my contouring and highlighting tutorial and learn how to do it. For the lips I recommend you to use coffee brown lipstick with a velvet finish, instead of fuchsia color.